But will all the third-party gizmos compromise the device's usability? No buttons? No problem for "Cro-Mag Racer" from Pangea Software. 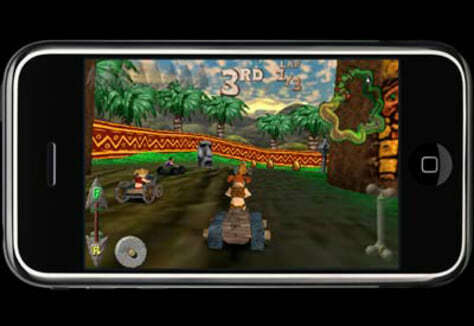 The game uses the iPhone's accelerometer to turn the phone itself into the steering wheel.